Turnaround for Children translates the science of learning and development into tools, strategies and services for educators so they can help more students reach their full potential as learners. Currently, we partner with schools in New York City, Northern California and Washington, D.C. Turnaround has offices in New York City and Washington, D.C. Play an important role in impacting the lives of thousands of children. Put your passion into practice and continue to grow as a professional and a person, to hone and deepen existing skills and develop new capacities. Work alongside committed, forward-thinking colleagues from wide-ranging backgrounds in an organization that strives to be as diverse as the communities it serves. Turnaround for Children is looking for a COO who will help determine how the growing organization will organize its people and systems to fulfill its mission. This is a one-of-a-kind executive opportunity in New York City that blends scale, sustainability, facilitative strategic and annual planning, business modeling, inclusivity and people development. Do you love building relationships and understanding what makes people want to give philanthropically? Do you want to join a passionate, hard-working and fun development team? If you love serving as a front-line fundraiser of an entrepreneurial organization, we want to hear from you! Turnaround is looking for a Major Gifts Officer to develop and execute an individual giving strategy and serve as a frontline fundraiser in partnership with our President/CEO and Vice President of Development. We are aiming to expand our portfolio of individual donors from approximately 15% of our annual $11 million budget to 25% and we want to develop a long-term strategy to significantly increase the amount of annual revenue provided by individual donors. The Major Gifts Officer will be our strategic thought leader, resident expert and driving force behind the organization’s development efforts for individual donors. The Major Gifts Officer will join a five-person development team and will have one direct report, a Development Manager. You’re here because you believe in the important work Turnaround for Children is doing and you think you have skills and experience to help drive it forward. We are always looking for talent dedicated to Turnaround for Children’s mission. If this sounds like you, please send us your resume and a cover letter explaining how you see yourself fitting into the organization. 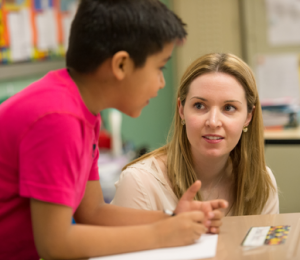 Turnaround for Children believes that individuals do their best work when they are in a safe, supportive environment – this is precisely what we are working to create for students and teachers in struggling public schools across the nation. When you have 29 children sitting in front of you who have emotional needs, who have family issues, who have more problems than an adult could handle, and you're trying to get them to want to learn, that is an extreme challenge that I don't think many teachers are prepared to take on. Stay in touch! Please sign up for our newsletter, The 180. Help fulfill the promise of public education for every child.